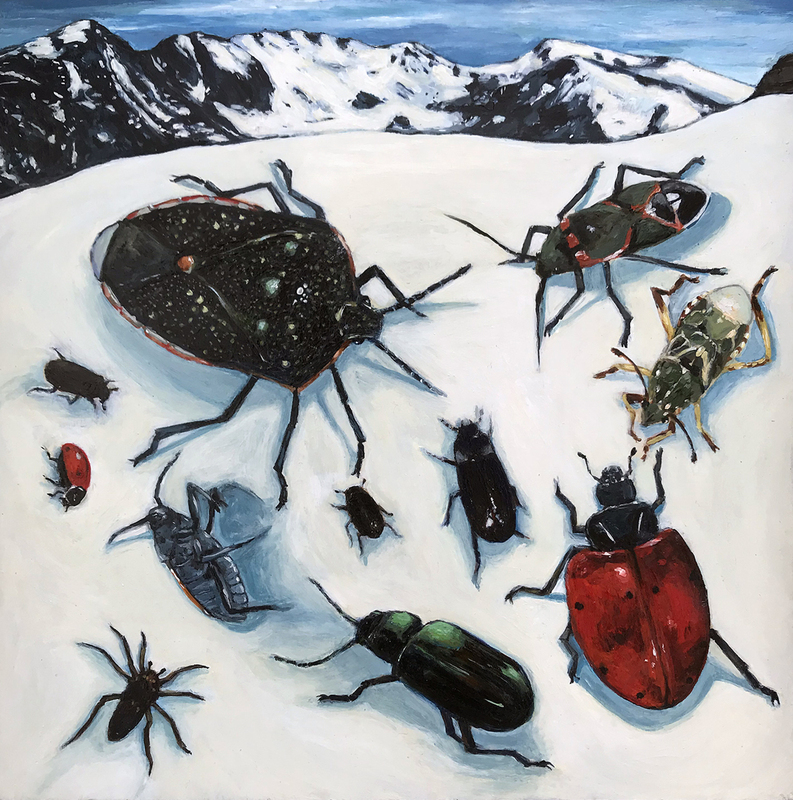 Walking on the alpine tundra of Rocky Mountain National Park in June of 2017, I was surprised to find insects and spiders on the snow covered mountains with a strong chill in the air, despite the sun being out. They were alive but their movement was minimal and sluggish except when they made it to a warm rock...or when a human picked them up, such as myself, as I was curious to whether they were frozen or not. Beetles and true bugs were the predominant type observed The biggest one seen was a stink bug, who I considered the highlight of that day. He or she is painted as the largest subject. This image depicts most of the species I encountered that day.